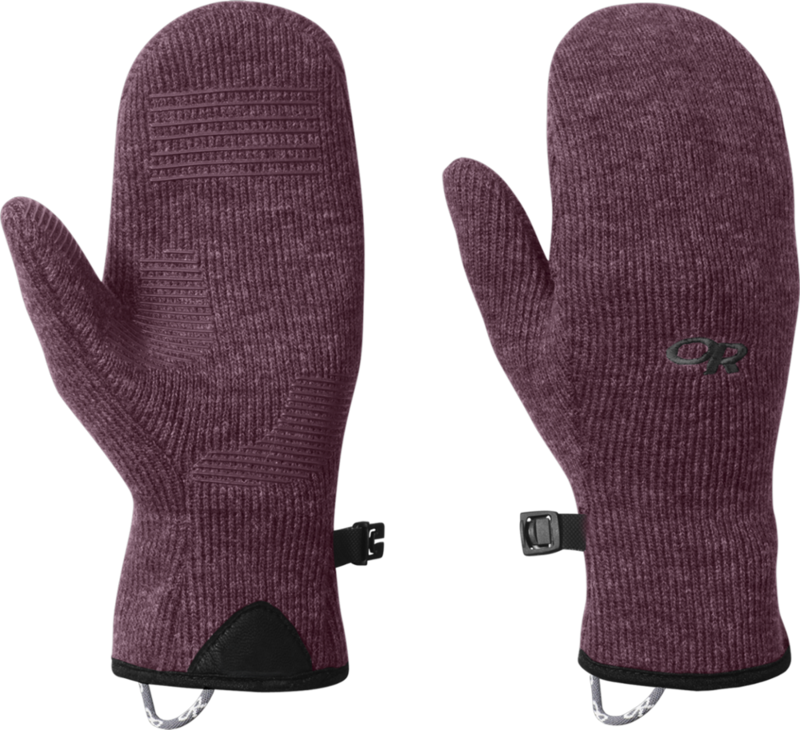 Visit Outdoor Research's Women's	Flurry Mitts page. 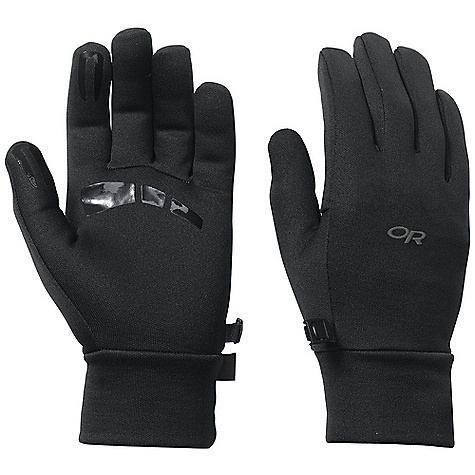 Keep your hands warm and insulated on a long day of cold-weather trekking. 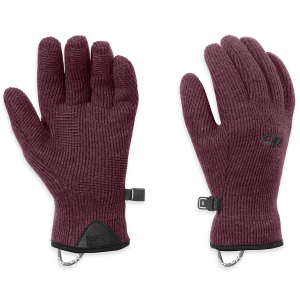 Constructed of Alpin-wool Plus fabric, the wool/nylon exterior pulls moisture away while the soft fleece interior gives you the ultimate in cozy, warm comfort. 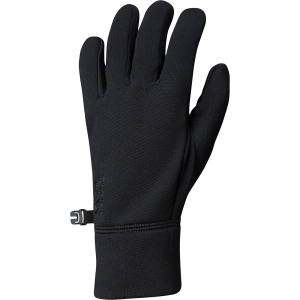 MotionWrap palm construction, a snug, stretchy fit and grip-sensitive silicone prints across fingers and on palms easily grip trekking poles and allow for excellent dexterity. 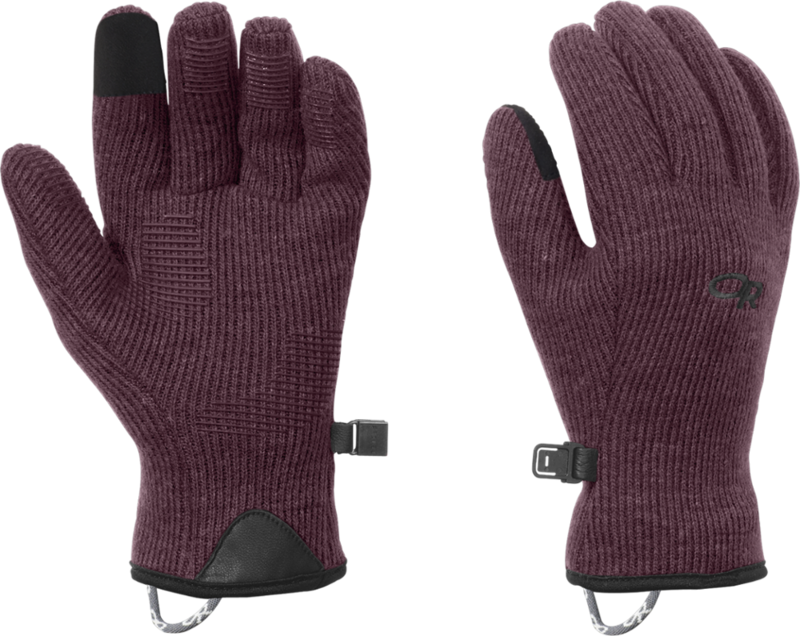 Keep your hands warm on a long day of cold-weather trekking with the women's Outdoor Research Flurry mittens. The exterior sheds snowflakes, while the soft fleece interior keeps you cozy. 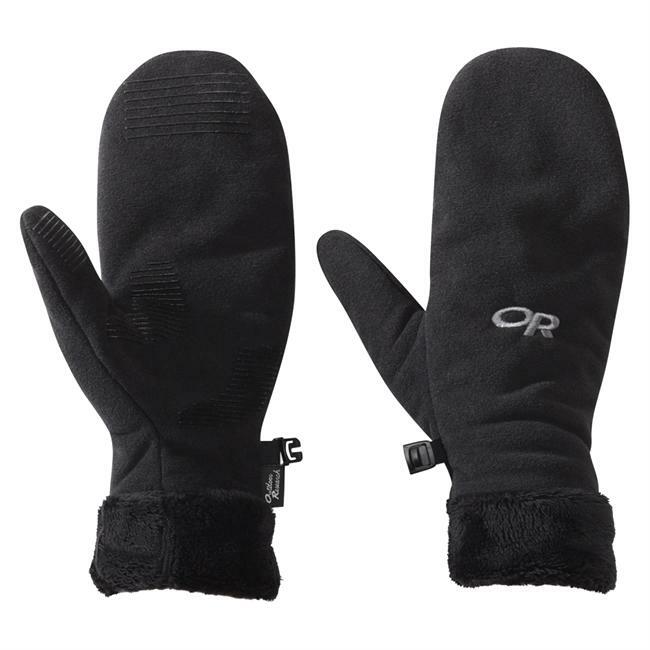 Outdoor Research Women's Accessories Flurry Mitts - Women's-Black-Medium 2431230001007. MotionWrap palm construction a snug stretchy fit and silicone prints on fingers combine for excellent dexterity and grip.